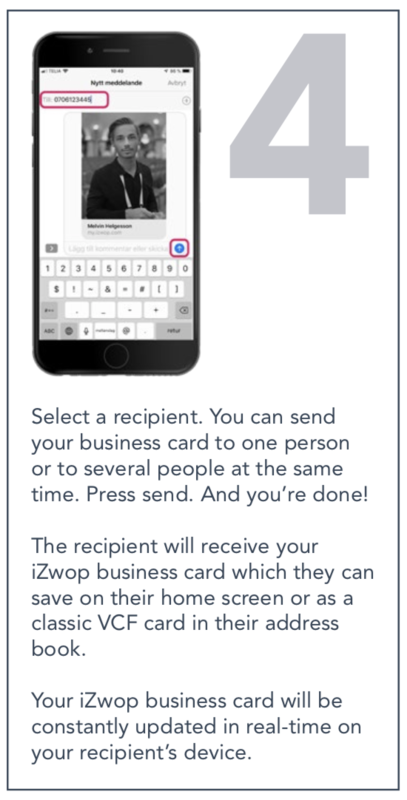 How to share your new business card with the world. 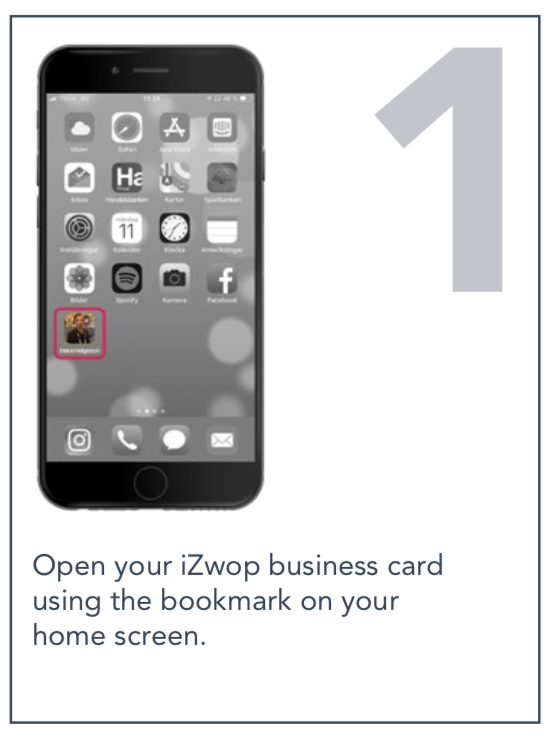 The iZwop® digital business card can be shared worldwide with thousands with a few clicks. That´s why it is suposed to be the new business card standard for the 21st century, digital, business professional. You can share it 1:1 eye-to-eye or 1:many to the other side of the world. 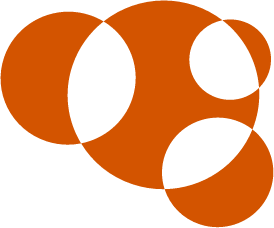 You can share it from your smartphone or computer. You can share it to many people in a room (airDrop) or to an astronaut in the space shuttle via text (SMS). 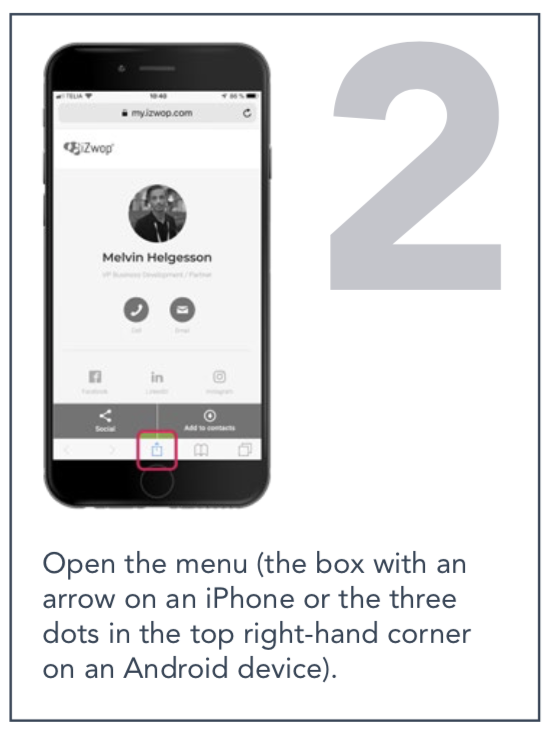 You can share it via a QR-code (the receiver just open their iPhone and the camera) and scan your code. Everyone with a smart device with internet connection can open and store your card. No app needed. 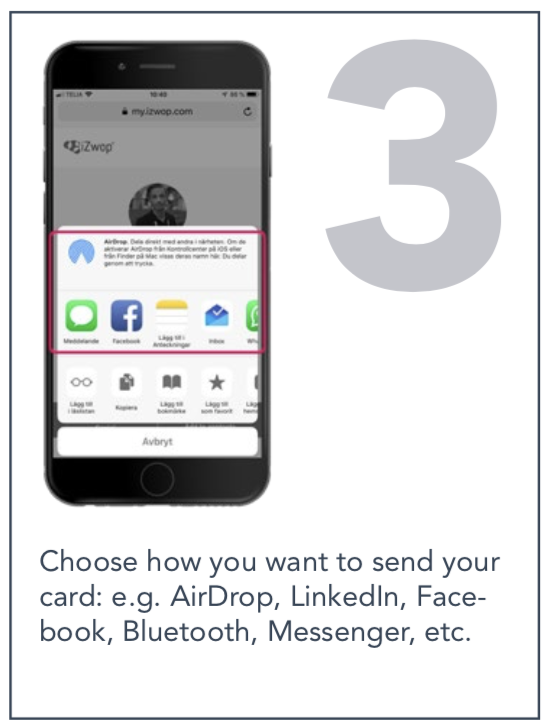 This is how you send it via SMS (text) - do the same with the other channels and choose how you want to send it after you opened your "share menu".